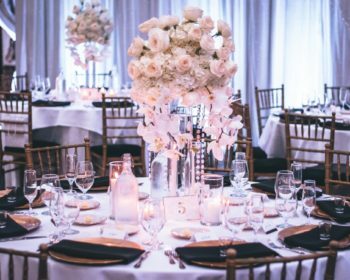 You might have spent a lot of time and effort meticulously planning every detail of your wedding. Unfortunately, there is always the possibility of mishaps happening. If you’re unprepared, even small mishaps can send you into panic mode. 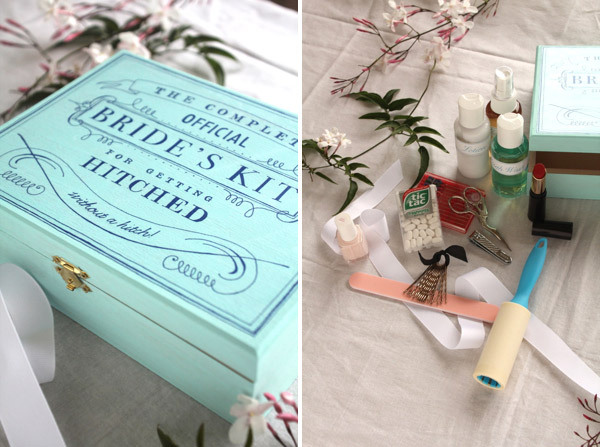 For that reason, you should always have your wedding day emergency kit at hand. Don’t know what should be in your kit? Relax, our informative list will help you learn the essential items to include in your emergency kit and how they will help save the day. • Breath Mints: The “you may now kiss the bride” moment should be memorable – for the right reasons! Breath mints will help make that first kiss memorable due to its sweetness. • Q-tips: They come in handy when you need to clean up drippy makeup. • Blotting sheets: Looking oily is not cue at all, especially on your wedding day. Too much shine will make you look sweaty and greasy in photos. These sheets will help you absorb shine and oil. • Duct tape: Duct tape can fix anything, from a fallen hem to a loose bouquet. 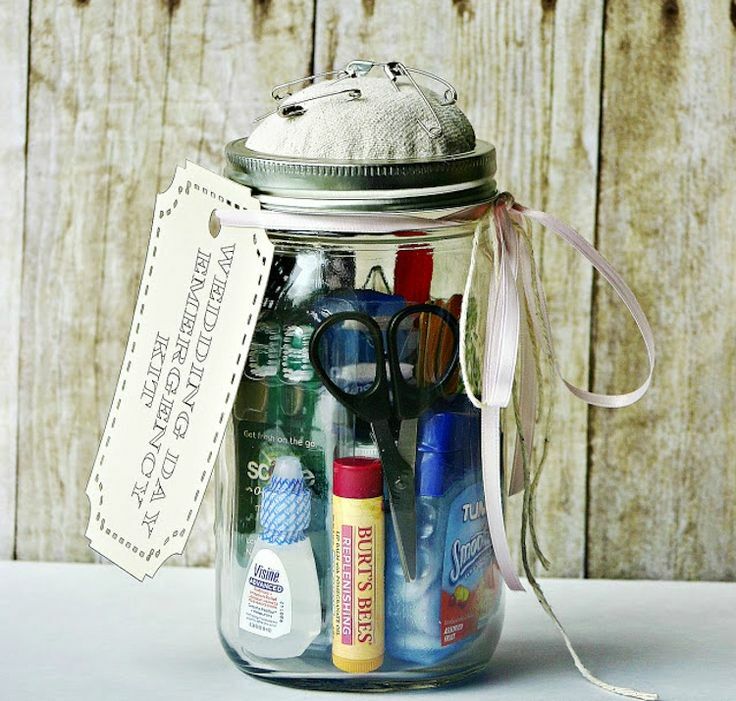 • Mini sewing kit: It could turn out to be the most useful item in the fight against emergencies. It will help you take care of loose threads, snags and tears. The kit should include needles, safety pins, scissors and thread that match the colors of your groom and groomsmen apparel as well as yours and your bridesmaids. • Medication: Headaches, allergies, indigestion and other medical mini-emergencies can strike when you least expect them to. Don’t expect them to stay away just because it’s your big day. For that reason, take precaution and carry medicine like antacids, pain killers and allergy medication. • Band-Aids: Your heels look amazing, but that doesn’t mean they’ll feel that way four or five hours after wearing them. Band-aids help you address blisters and small cuts. • Lotion: It gets rids of dry patches. • Tweezers: From errant hairs to splinters, this tiny tool sure does come in handy. • Deodorant: Your smell should be as good as your look. Carry a deodorant or your favourite perfume to keep odour away. • Hairspray: Helps you tame those last-minute frizzy bits and fly-aways. • Toothbrush and toothpaste: The overwhelming excitement can make you forget to brush your teeth after waking up. • Eye drops: They help refresh red eyes that might ruin your look. They are a must-have for those with contacts and dry eye problems. 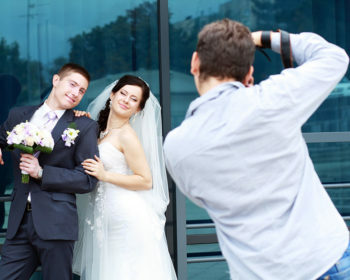 • Healthy snacks and water: In the run up to your wedding, all the planning and excitement can make you skimp on meals. To avoid passing out or feeling sick during the big day, keep a stash of healthy snacks that are low in sugar and high in protein. Granola bars and fruit are excellent choices. Don’t forget to have some water to keep you hydrated. It’s a good idea to carry some drinking straws to help you stay hydrated without messing up your lipstick. • Bobby pins: Carry a handful of bobbys for you and your girls to use when your bangs become unruly or ‘dos lose shape. They’ll keep your hair picture-perfect. • Nail polish and nail file: You’ll use them to polish chips. Clear nail polish can also stop runs in tights and nylons. • Wrinkle release spray: It helps remove wrinkles from your dress. • Fake eyelash glue: Eyelashes that promise long hours of wear can fall short. • Tampons: You might not need one but someone else will. • Static guard: Spray it on your gown, veil, bridesmaids and mother-of-the-bride’s gowns, and anything else that has the uncomfortable static cling. • Lint roller: This is especially helpful for your groom and groomsmen’s suits. • White chalk: It covers up stains on white dresses. Let it be your trusted weapon to disguise stains and dirt on your gown. • Fast flats: You might want to change into them when your feet start hurting. 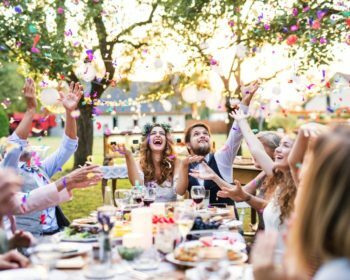 • Bug spray: This is especially essential for outdoor weddings. Mosquitoes and little bugs that love tulle might attack you. The resulting pink bites won’t look good in photos. Go for an unscented spray. • Tissue: You may experience a roller coaster of emotions on your wedding day. Throw a travel pack of tissues into your emergency kit to save your makeup from the impending flood of tears. If you have everything you need to take care of emergencies, you’ll be calmer and happier.